PbS nanocrystals have potential use in the construction of nanodevices such as optical switches, solar cells and infra-red light-emitting devices. As their physical and chemical properties depend on their size and shape, preparing monodisperse crystals (i.e. crystals with the same size and shape) in a reliable and tunable way is important. 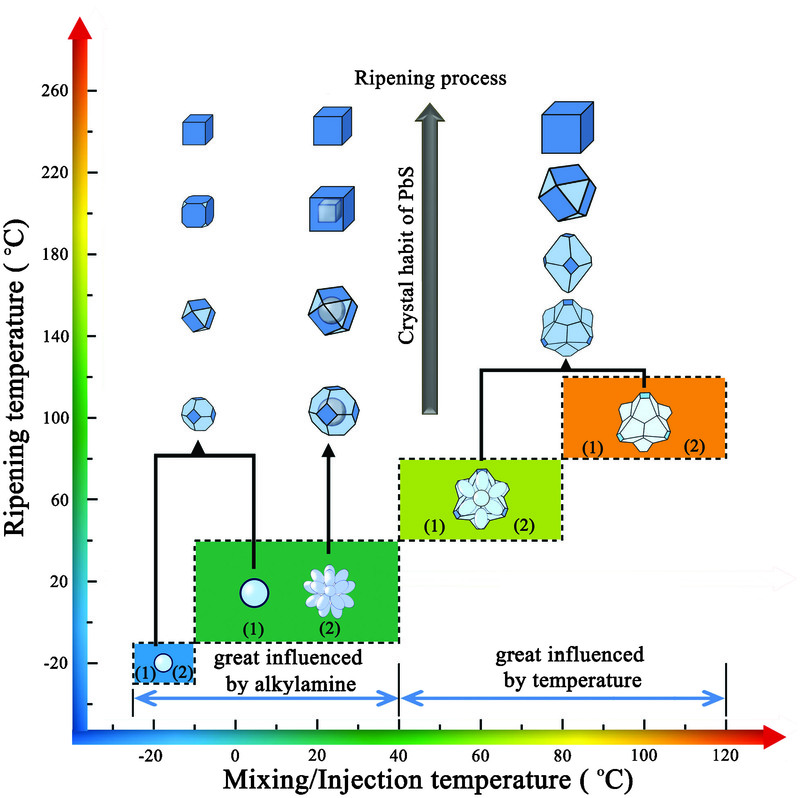 Usually synthesis is carried out at high temperatures but a new paper challenges this traditional thinking, showing how successful synthesis can be carried out at much lower temperatures. Nanocrystals were successfully prepared with mixing temperatures as low as -20°C, from solid precursors. Below 40°C the nature of the alkylamine(s) used in the synthesis is a highly influential factor in determining the shape (kinetic effect). Above this temperature, it is the subsequent ripening temperature which has a greater influence (thermodynamic effect). The ripening temperature determines the ultimate shape of the crystals, but the size is also influenced by the mixing temperature and alkylamine(s) used. Utilising the competing factors involved is shown to provide a facile route to size-tunable but shape-permanent PbS nanocrystals. 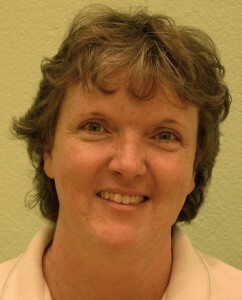 Gwenda Kyd has a PhD in metallocarborane chemistry from the University of Edinburgh. Other research work includes the spectroscopic study of the structure of glasses and organometallic electron-transfer reactions and the preparation of new inorganic phosphors. Currently she works as a scientific database editor.